After Gamora’s untimely death in Avengers: Infinity War, Zoe Saldana surprised fans when she posted the below photos on Instagram. Seeing Saldana back in the green Gamora makeup during Avengers: Endgame reshoots comes as a shock, since we all assumed she was definitively dead after being sacrificed by Thanos in his quest for the Soul Stone. 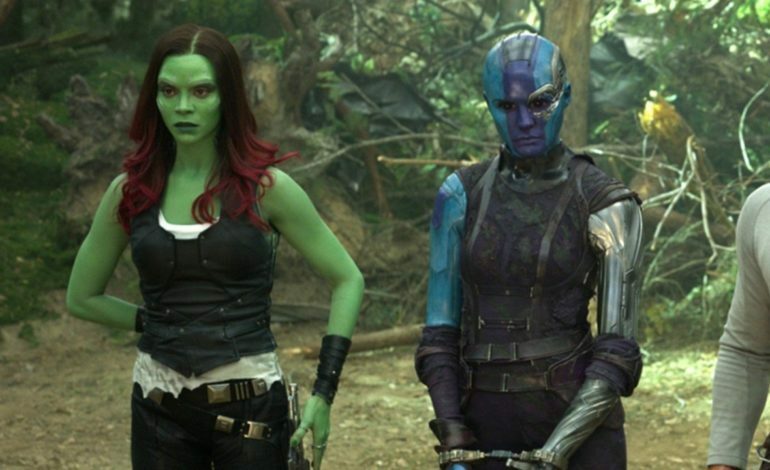 We know Nebula (Karen Gillan) survived Thanos’ snap that killed half of the population, and we saw a glimpse of her in the new Endgame trailer. But now it seems that we might be seeing the sisters together once again. Saldana’s scenes may be only flashbacks, but since typical rules of life and death seem to have some loopholes in the Marvel Cinematic Universe, who knows if she will be revived. Guardians of the Galaxy 3 is still on the agenda for Marvel, so there is definitely space for her if she does return. Her caption in that second post hints at the possibility of returning to the character, but neither confirms nor denies as is the classic Marvel tactic for inciting fan confusion. At least now we know for sure that both sisters will be making an appearance in Avengers: Endgame and we’ll find out for sure when the film hits theaters on April 26, 2019.